Many times when you hear Modesto described in the national news, it is often prefaced with “sleepy farming town”. We all know that’s not even close. We are getting better, being referenced as the Home of American Graffiti and George Lucas and the worlds largest winery. But even still, that isn’t a complete description. Would you be surprised if we start being identified as a fast growing coding and technology zone? Well don’t be, that time is coming faster than you think. Our home of Star Wars may start delivering the hot shot programmers that bring the leading global tech companies to life and best of all, if you want to be a part of this amazing world, you can grab a hold of this rocket ship and learn how to do it too. The Modesto area is home to a couple of amazing tech companies like Clear Wave, Oportun, Varsity, and Bay Valley Tech that are coding and doing software and program development for many of the global companies you have heard about. This is the Modesto USA of the future and there is a growing skill force in our community that we need to know about and support as it quite likely be the key to our future in many of our industries. Who knows, we may have satellite offices here soon and create our own tech giants. As we know, it costs a fortune to live and exist in the Bay Area and getting there is a nightmare. So what if you could work in this high tech world, live and work here at home, with an earning potential that that is amazing. This is happening and there are many in this world that have gone from minimum wage jobs to earning $40-70 per hour or more or even create a new start up. This is really something our community should be building on. These are the people and the companies we want to attract, to build on to our great community culture and show that Modesto is not only a great Classic American City, but a city for the future. Phillip Lan has been a success in the tech world, leading at tech teams for the Gallo Winery, Hearst Media and many others and currently runs Bay Valley Tech. 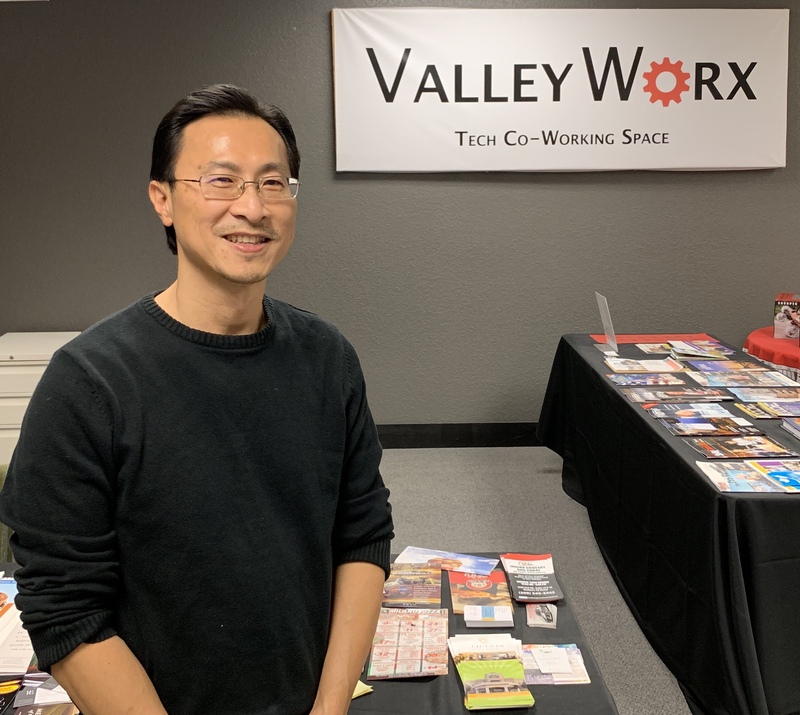 Phillip, a proud UC Davis alumni, teamed up with fellow UC Davis alum Paul Draper of Centerra Capital to create ValleyWorx, an innovative coding collaborative in northwest Modesto that develops talent with true collaboration. During our recent conversation my takeaway was that the team’s mission seems to be “Changing Lives, Changing the economy and Teaching with Experience”. Let’s meet Phillip. ModestoView: You have created a new space that actually defines teamwork. What inspired you to do this? Phillip Lan: Several years ago while at Gallo, I was asked to be a judge for a Valley Hackathon event (valleyhackathon.com/). Through that experience, I began to understand the need for local software developers to connect, learn from each other and collaborate. 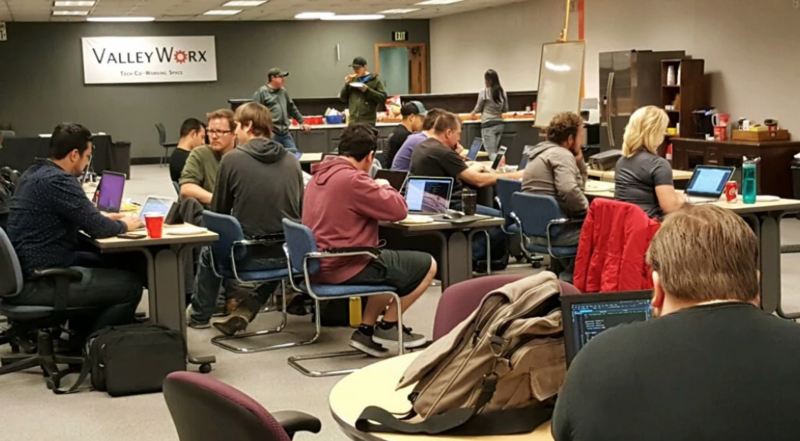 The hackathons were beginning to effectively draw the local tech community together, but Modesto lacked a central innovation hub. I lived and worked in the Bay Area for 15 years and there are lots of co-working spaces and tech incubators there. We even have them in Sacramento, Stockton and Fresno, but Modesto lacked one. At that point, Opportunity Stanislaus was graciously allowing a few software developers use two of their conference rooms in downtown Modesto. However, the 400 square-foot space couldn’t support growth of the tech community. Fortunately, a fellow UC Davis alumni and author, Ken White, introduced me to another fellow Aggie, Paul Draper from Centerra Capital, who also saw how a tech co-working space like ValleyWorx could help transform the region. MV: How many companies and how many individuals are working at ValleyWorx? PL: In the short time since we opened, the ValleyWorx tech co-working space has become a growing hub for innovation in the Central Valley. There are now 10 companies and 30 individuals who use the space regularly and our events have drawn in as many as 150 Central Valley and Bay Area people interested in technology and innovation. MV: Many coders have to drive over the hill to the bay area, how many would rather work locally? PL: As a former commuter, I would guess that EVERY commuter would love to get those FOUR or FIVE HOURS a day back. MV: What are some of the basic skills people should have to embark on a career in coding? PL: Proficiency in math and logical thinking along with curiosity, dedication and grit are some of the things we look for. Anyone can get started by taking a few programming courses at MJC or online at www.freecodecamp.org or www.codecademy.com. People skills can also be helpful, since much of software development is done in teams and is highly collaborative now. MV: Some people have come to you out of minimum wages jobs in our community, how have those people been changed through this program. PL: Through the tech community’s friendship, support, mentorship and networking, these individuals now have access to six-figure career paths. 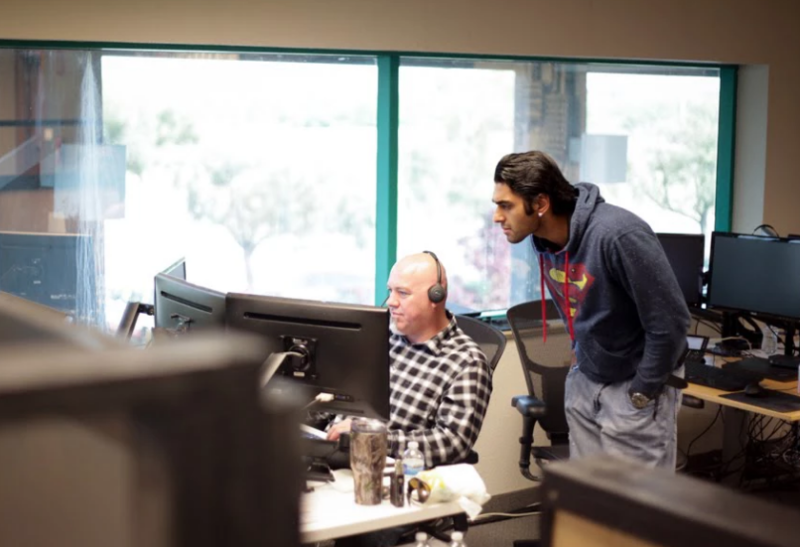 Some Bay Area companies are now paying over $300K/year for software developers due to a talent shortage there, so it is creating opportunities for us here in the Central Valley.. The local tech community is very generous. Those who have successfully transitioned into software careers give back by mentoring others, sponsoring tech events and teaching computer literacy classes at area rescue missions. MV: If my business wants a mobile app for my company, can I get it at ValleyWorx? PL: Yes, there are software consultants who work at the ValleyWorx co-working space who can help your company create apps or websites. However, as a digital marketer, I would encourage all companies to start by defining the challenges and problems they are trying to solve first. A good technology consultant can help you decide whether an app or other technology is the best solution before spending time and money to create it. MV: What is an example of some cross team development you have experienced? PL: At ValleyWorx, different companies regularly collaborate on projects for external clients. Recently, several teams with complementary front-end and back-end programming skills worked together to deliver an agtech solution that will benefit our local almond industry. MV: What can parents do to help prepare their kids for a career in coding? PL: Local programs such as CodeX and the Modesto Academy of Music and Design teach coding and robotics classes appropriate for junior high students. 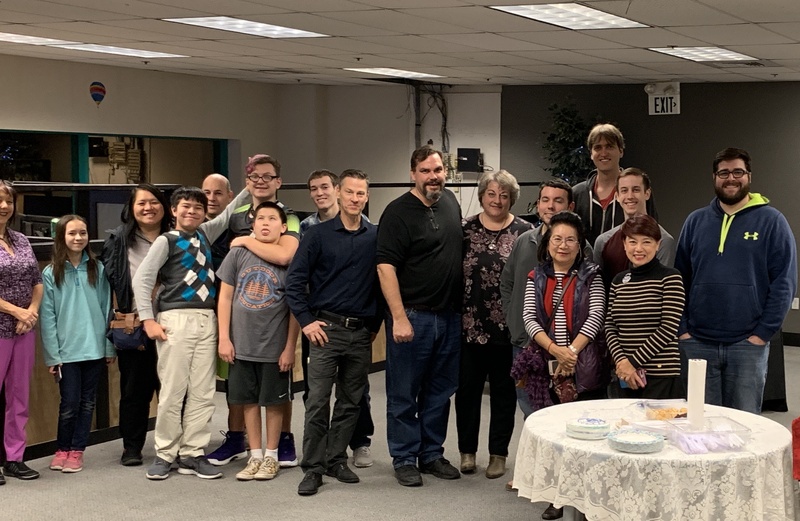 Many area high schools now have fantastic software development instructors such as Andrew Johnson at Enochs High School and Sean Derrick at Ripon High School. For older students 18-years and older, we teach web development as well as a video game design class using Unreal Engine at ValleyWorx. MV: What advice would you give someone who wants to make a jump to this? MV: What do you need most from local companies to make this a bigger success? MV: You are currently expanding the workspace, what are some of the current projects? PL: We are partnering with Varsity Technologies and others to build out new conference rooms, offices and shared co-working spaces to accommodate growth. 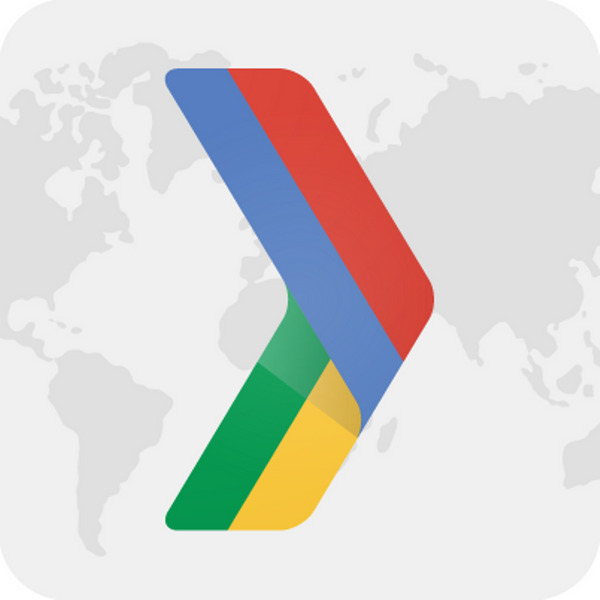 Beyond the physical space, we are expanding our software apprenticeship program, working to help launch an Agtech Summit on February 7th and continuing to grow our Hackathon events. MV: Describe this tech community in 3-5 years from now. PL: We’ve made tremendous progress in building a self-sustaining ecosystem here. Our local software talent base is already drawing interest from Bay Area companies, so I would anticipate that within a few years we will have more tech employers in Modesto driving economic growth for the region. MV: What do you feel people should know about this program and the tech community in general that they might not know? 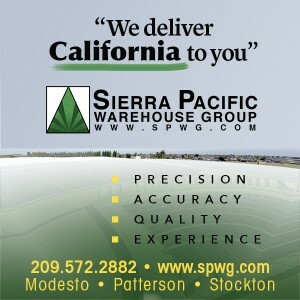 PL: We have amazing, talented people here in the Central Valley. Our local tech community is growing rapidly and Bay Area companies would do well to invest in this region. MV: Describe your ideal day in the future Modesto USA. PL: Doing what we already do every day–working in this innovation hub with talented friends and colleagues who love technology and want to use it to transform our region economically. Heather Ramsey, Varsity Technologies’ Director of People & Operations (www.linkedin.com/in/hramsey/) is also another UC Davis Ag Econ major. She, Paul Draper and Phil were all the same major at UC Davis. It is wonderful to have three UC Davis alum teaming up to grow tech jobs in Modesto.